Teresa, it is a pleasure to be interviewing you! Your first novel, Bianca’s Vineyard was absolutely wonderful and moving. Please tell your readers about, Domenico’s Table. Teresa: Although Domenico’s Table – the post-war sequel to Bianca’s Vineyard – is about a different branch of the Bertozzi family, it is also inspired by a true story. One of the main characters in DT is our cousin Domenico Sacchelli, the gregarious proprietor of a stunning bed and breakfast property he inherited from his grandparents situated in the mountains of Tuscany overlooking the Ligurian Sea. His pizzas, made with his own olive oil and cheeses in a wood oven, are to die for. I was inspired to write the book during our first visit to Domenico’s farmhouse, or fattoria, which he rents out every summer to a former Nazi soldier who had stormed the mountain during the war and commandeered his home. Domenico was a child at the time, but he recalls the terror of that day when he and his family barely escaped with their lives from the onslaught. The fact is, many Italians continue to bear deep resentments and anger towards Germany because of atrocities that occurred during the war. Little wonder then, that when Domenico first began renting out his fattoria to the German soldier and his family, it created quite a stir among his neighbors. Domenico would joke that he was simply being smart and “turning the table” on the Germans by making money off their former enemies, but over the years the two men developed a friendship. I took this remarkable story and added an international ensemble of fictional characters, some heavy doses of drama and intrigue, loads of dreamy Italian locations, tension-filled romance, and a sprinkling of light-heartedness and came up with Domenico’s Table. Stephanie: It certainly is a remarkable story. I’m currently reading your novel and I’m enjoying it so much! I feel as if I’ve drawn so close to your characters and they feel as if they’re family. 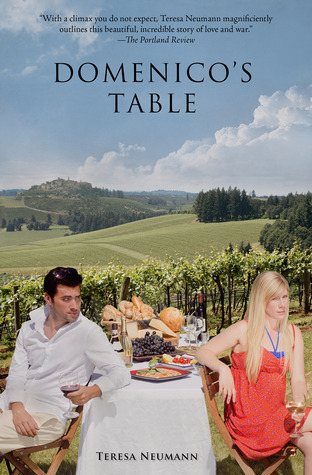 I’m sure your readers-who have not read your sequel as of yet- want to know…Are any of the characters in Bianca’s Vineyard in Domenico’s Table? Teresa: Yes, but dare I mention who without spoiling the surprise? Let’s just say that Bianca Corrotti is the narrator in Domenico’s Table, as she was in Bianca’s Vineyard, and that the “mystery” of Armida’s locket is resolved in the sequel. Speaking of characters, I should let readers know that Rem Malloy – a delightful Italian-American tour operator – is organizing a Bianca’s Vineyard & Domenico’s Table Book Tour in Italy next year. His highly acclaimed Seattle-based travel company, Italy4Real, is currently solidifying an itinerary that will include several days in Tuscany where we will meet some of the characters in my books, see locations mentioned in them, visit Armida’s gravesite, and perhaps even have a dinner at Domenico’s fattoria on Monte Montignoso, hosted by the intrepid chef himself. Rem wants to keep tours small — no more than 8 people. Anyone interested can contact him at 1-800-554-5170 or email him at info@italy4real.com Just ask about the Bianca’s Vineyard Tour. Stephanie: You give vivid details of what war was like during that period and for the people. What was your research like? Where you able to speak with anyone who lived during that time? Or were there letters you were able to look over? Teresa: In addition to travelling frequently to Italy to visit family, we also have family and friends in Germany. Their help was invaluable when it came to research and translations. I was also able to interview my husband’s elderly Italian cousins who lived through the war before they passed away. What a privilege that was! Other family members in Tuscany spent days showing us many of the sites and monuments pertinent to the war, such as the infamous Sant’Anna and locations along the Gothic Line. Stephanie: How wonderful to be able to travel to Italy. I’ve always wanted to go there. How long did it take you to write Domenico’s Table? 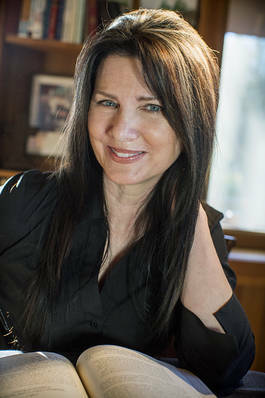 Teresa: It helped that I had a good idea for the sequel before I began, but still, it took about a year to write and get it into print. Stephanie: Were there any challenges? Teresa: Certemente! With BV the plot was there for the telling. I simply wrote the story of my husband’s grandparents as it actually happened, filling in here and there where I needed to. But with DT, I had to develop the plot to a much greater degree, which stretched me as a writer. Tying the loose ends together from the first book and yet doing it in a way that would allow the sequel to be a stand-alone novel, was another challenge. The most daunting challenge of all, I believe, is getting the final manuscript to publication and then marketing it. There are deadlines to deal with and so many minute, permanent decisions that – once the book is in print – can’t be changed. I love meeting and mingling with my readers, but marketing my own work is still a foreign concept, which is why I am eternally grateful for my precious reviewers and Goodread fans! Stephanie: What is the hardest aspect of writing historical fiction? Teresa: I love research – perhaps too much. It’s easy to get bogged down in facts, and although it’s essential to be historically accurate, if factuality comes at the expense of characterization, it can dull the reading experience considerably. After all, if someone only wants the facts they’ll read a textbook on the subject. Historical fiction is, in the end, about story. It’s a delirious blend of fact and fiction; a sort of melding of the left brain and the right brain. So, I have to work hard at fleshing out my characters and making facts come alive for my readers. Stephanie: Research can be time consuming but well worth it. What are some of the fiction parts to the story? Teresa: The basis of Domenico’s Table, as mentioned above, is inspired by a true story. The rest – the German soldier and his haunting past, his granddaughter and her American stepsister – have been fictionalized. It’s true that Domenico’s father had to hide in their chestnut tree to escape detection when the Nazi’s stormed their mountain, but the story of his mother and their neighbor is not. Readers often ask me about Marco, Domenico’s handsome co-laborer at the bed and breakfast. His looks and persona are based on our real cousin Marco, who was a Milanese model for some time, but is now a happily married father living in Rome. The rest, however, is fictionalized. Stephanie: Marco is one of my favorites! Is there a novel you are currently working on? Teresa: Yes, and it’s set in the early 1970’s. The main character is Italian-American, but it takes place entirely in California. The title of the book may be a bit misleading – A Year in the Company of Freaks – but to all my faithful Italian-American readers out there, trust me, I’m sure you’ll still relate to it. Stephanie: Sounds wonderful! I can’t wait to read it! What is your favorite historical event? Teresa: WWII, because all of humanity’s inherent shortcomings and virtues came together on such a grand, global, gory scale. My father and uncles served in that war and their stories never cease to amaze me. America’s Civil War is also a source of great intrigue. My ancestors fought each other over the North-South divide, so maybe it’s a personal thing, although I must admit I’ve always had an odd fascination with military history in general. Stephanie: It looks like we have a lot in common with our family tree as far as family fighting in wars. Military history is very fascinating. What is your favorite all time novel and why? Teresa: There are so many great classic and modern novels to choose from, Stephanie, how can I pick just one?! Stephanie: I can’t pick one! It’s a tough question! Teresa: Of all the books I’ve read recently, my favorite is The Shoemaker’s Wife by Adriana Trigiani. Granted, I’m a sucker for all things Italian, but her novel in several parts is quite nearly a masterpiece. I cut my teeth on Tolstoy, Dostoyevsky, Dickens, and Hardy, so they were my first literary loves. Milton’s Paradise Lost blew my mind. Was completely smitten with Sigrid Undset’s Nobel prize-winning trilogy Kristin Lavransdatter. writers — Tennessee Williams, Flannery O’Connor, The Help and The Divine Secrets of the Ya-Ya Sisterhood — as among the best literary talent this country has to offer. I find them utterly irresistible and they almost never fail to captivate me. So if I can only pick one all-time favorite novel, for the above reasons the prize would go to Les Miserables, by Victor Hugo. I mean, Jean Valjean? Javert? Fantine? The story and its characters are simply timeless, as are the themes of hope, redemption and restoration. Stephanie: Teresa, it has been a pleasure chatting with you today! Thank you for your time! Stephanie: David, I really enjoyed reading your novel. It’s one of the best mystery thrillers I have read in a very long time. Not only did you depict London during the 19th century brilliantly, but portrayed how crimes were solved during that time without all the technology we have today. The murder scenes and action scenes are very detailed and intense. How did you shape the actions of your story from beginning to end? Were they difficult to write? Were there any challenges? David: Thank you, Stephanie. Murder as a Fine Art is based on the idea that someone replicates the original Ratcliffe Highway murders, using Thomas De Quincey’s vivid description of them in his sensational essay “On Murder Considered as one of the Fine Arts.” Logic suggested that I needed to begin with the new version of the murders. Then I needed to introduce my two Scotland Yard detectives and show them using early crime-scene-analysis techniques. Finally I needed to have them suspect De Quincey (notorious for his memoir, Confessions of an English Opium-Eater), at which point I could introduce him and his wonderful daughter, Emily, whose personalities then controlled the story. The biggest challenge was developing an antagonist that would be a worthy opponent to De Quincey. After all, De Quincey invented the word “subconscious” and anticipated Freud’s psychoanalytic theories by a half-century. The killer needed to have a complex psychological profile so that the reader would feel that only De Quincey could see to his core. De Quincey influenced Edgar Allan Poe, who in turn inspired Sir Arthur Conan Doyle to create Sherlock Holmes, so I decided to put De Quincey at the start of the detective tradition. It was a very exciting project. Stephanie: What are some of the fictional aspects of the story? David: The main fictional element is the replication of the original Ratcliffe Highway murders, which paralyzed all of England back in 1811 but weren’t repeated in 1854, as happens in my novel. Otherwise there’s a considerable amount of fact. Thomas De Quincey (an absolutely fascinating literary personality of the period) is presented accurately. Ryan and Becker, the two Scotland Yard detectives, are based on actual detectives of the time. Lord Palmerston is presented as he was, complete with his immense political scheming. Coldfield Baths prison existed as I describe it, complete with the boxes in the cells and the handles that needed to be turned thousands of times before a prisoner was allowed to eat. Britain’s economy was indeed based on the opium trade, and laudanum (a mixture of alcohol and opium) was indeed in every medicine cabinet. Even infants were given it. The evidence suggests that many people in the Victorian era were drug addicts, although the concept of physical and mental addiction didn’t exist then. I tried to make the novel as factual as possible. Stephanie: What was some of the research involved? How long did it take you to write your story? David: Murder as a Fine Art was a three-year project. The research took 2 years, but for some of that period I was also writing. De Quincey wrote thousands of pages of essays, memoirs, and fiction. I re-read them many times until I could be a ventriloquist for him. Next I researched his life, eventually becoming Internet friends with his two biographers, Robert Morrison and Grevel Lindop. Then, I accumulated shelves of books about 1854 London and the Victorian era. My goal was to make readers truly feel that they were on those harrowing fogbound streets. I needed to know what the pavement was made of, what sorts of coins were in people’s pockets, and how much a woman’s clothes weighed (37 pounds). Finally I used my academic background (I was a literature professor at the University of Iowa) to research novels in the 1850s so that I could use techniques from that period, in effect writing an imitation Victorian novel. Stephanie: What are some of the response you have received about your book? David: The reviews have been excellent. 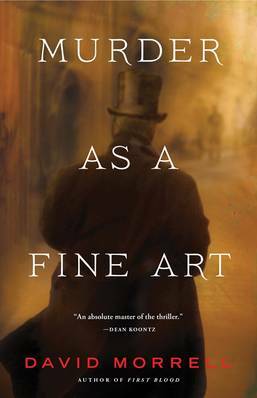 Entertainment Weekly called Murder as Fine Art “a masterful blend of fact and fiction, evoking 1854 London with such finesse that you’ll hear the hooves clattering on cobblestones, the racket of dustmen, and the shrill call of vendors.” Publishers Weekly described it as “an epitome of the intelligent page turner.” The Associated Press described it as “a literary thriller that pushes the envelope of fear.” The Washington Post said, “Murder is rarely this much fun.” The New York Times Sunday Book Review, Suspense Magazine, Mystery Scene, the Providence Sunday Journal—these and others were all enthusiastic. 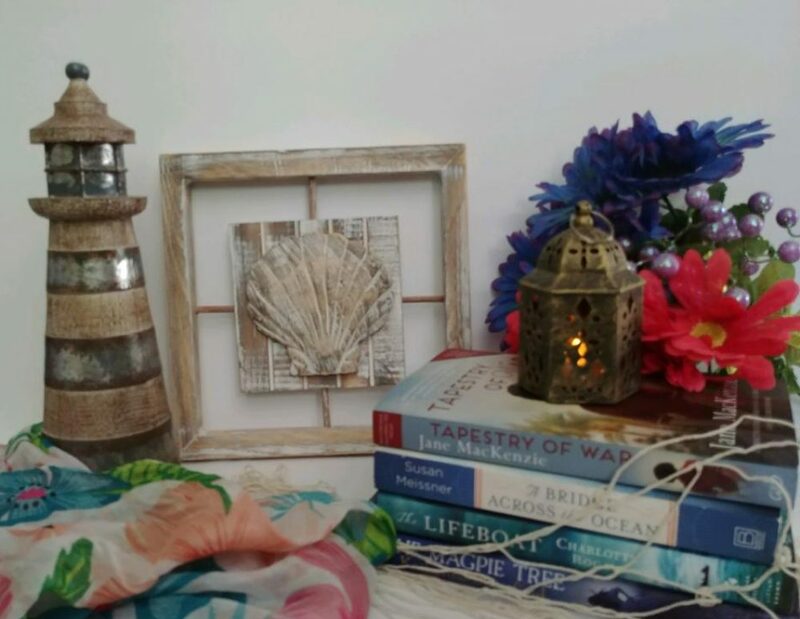 Stephanie: What is the most single challenging thing about writing historical fiction? David: Often historical novels are costume dramas that retain modern attitudes and dialogue. In contrast, I wanted Murder as a Fine Art to be an accurate reflection of 1854 London. Because De Quincey anticipated Freud’s theories, I could legitimately include psychological analysis, but otherwise the thoughts and attitudes in the book are specific to the 1850s in London. With each scene, I was constantly on guard against anachronisms. One section involved a lock, and my research led me to discover that locks were quite different in 1854, bolted to the surface of the inside of a door rather than inserted into the body of the door. This became an important plot point. Basically I couldn’t take anything for granted. Every detail needed to be investigated. Stephanie: What is your next book project? David: Many readers have asked me to write a second novel about Thomas De Quincey and his amazing daughter, Emily. I normally don’t write sequels, but in this case, I have a lot more to say about them as well as about London in the 1850s. Thank you David for this lovely interview! It was an honor! I was completely blown away with this novel! So intense, brilliant and intelligently written. The story line was so captivating and the author did a marvelous job depicting this time in England’s history. Rich in mystery, crime, intrigue, and this story really explores the mind of a killer and the people who are trying to catch him. I’m normally a reader of the medieval times but when this book came along for this wonderful book tour, I could not pass it up and I’m glad I didn’t. I highly recommend this story and have rated it five stars! David Morrell is a Canadian novelist from Kitchener, Ontario, who has been living in the United States for a number of years. He is best known for his debut 1972 novel First Blood, which would later become a successful film franchise starring Sylvester Stallone. More recently, he has been writing the Captain America comic books limited-series The Chosen. 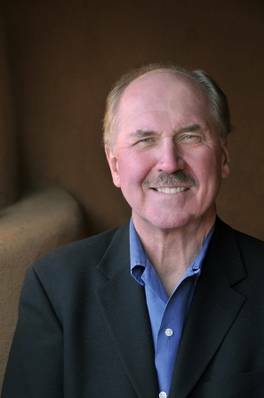 For more information on David Morrell and his novels, please visit the official website. You can also follow David on Facebook, Twitter and Google+. 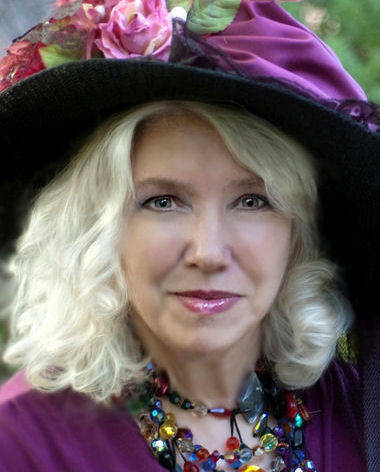 Stephanie: Please help me welcome, Author Gayle Feyrer. Hello Gayle! Please tell me about your book, Floats the Dark Shadow. Gayle: The novel is set in Belle Époque Paris. It was a golden age—but I show more of its dark and decadent side. My American heroine, Theodora Faraday has had some rough years, but she’s still an innocent abroad. Theo’s living her dream, discovering herself as an artist in what was then the most exciting city in the world. She’s fallen in love with her cousin, one of a group of poets called the Revenants. The dream becomes a nightmare when children she knows vanish and are found murdered. Theo believes a sleazy Satanist committed the crimes. My detective, Michel Devaux, thinks one of the Revenants is the murderer. Theo and Michel work at odds and finally together to capture the villain, who believes he’s the reincarnation of Gilles de Rais, once Joan of Arc’s lieutenant and later the most prolific and evil serial killer in French history. Stephanie: What was the inspiration for your story? Gayle: The first inspiration was Paris. I’d wanted to set a book there for years, somewhere between the birth of Impressionism and the first years of the 20th Century. In researching the era I was most drawn to the Fin de Siècle, Belle Époque years. But I spent almost a year with the wrong story and the wrong characters. My heroine didn’t want to be an artist, she wanted to be a journalist, and we battled. I had a perfectly acceptable plot that refused to take life. I was feeling quite desperate and was scrabbling around for what else I might like to write even though I didn’t want to give up Paris. I remembered an earlier fascination with Gilles de Rais, but I didn’t want to write a medieval historical. Then I thought Copy Cat! Once I had my villain, everything else fell into place very quickly, at least as a concept. I still had to write it. Stephanie: What genre does this fall under and what interested you most writing in this genre? Gayle: Mystery—more specifically historical mystery. And I usually call it a literary mystery to let people know it isn’t a quickie read. But it’s also a good historical – Paris is very much a character, the art and poetry, the history of violence behind the era. Michel is a child of the Paris Commune, which was bloodier than the French Revolution. There are cameo appearances by famous writers, artists, and occultists. I’ve never been much of a “write what you know” person. You have to know the thoughts and feelings of your characters, and understand their world, but I want to time travel to different times and places. Stephanie: Have you written books in other genres? Gayle: I wrote four historical romances, very dark and steamy, probably too dark in general for the genre, at least at the time. One was set in Renaissance Florence during the conflict between the Borgias and Savonarola. I did a Robin and Marian tale where Marian is a spy for Eleanor of Acquitaine and recruits Robin. Then I did two Elizabethans. I wanted to a romance set in Paris in the Belle Époque, maybe a wilder Gigi, but was told that Paris wasn’t romantic, why didn’t I do Scotland. Stephanie: What book project are you working on now? Gayle: I’m at work on the sequel to Floats the Dark Shadow, which keeps getting longer and more complex with more voices chiming in. It’s set during the furor of the Dreyfus Affair, but that’s just a piece of the story. It deals with all kinds of prejudice, against Jews, gays, women – and the relatively less bigoted attitude toward blacks. For emotional drama, I’ve got one secret affair busting up and another one starting. There’s hunt for the not insane (we hope) sister locked in an asylum. There are several murders and an attempted assassination. Even a strand of the occult thread from the last book will have its moment to glitter. Stephanie: Who designs your book covers? Gayle: One of the great things about working with BearCat was being able to realize my book almost exactly as I pictured it. Early on, I discovered the perfect image, the photo by Michel Colson that we used. I was still thinking of submitting to traditional publishers at that point, so I just wanted to use it on my website and hope they’d listen when I said I wanted it for the cover. I’m an artist, but I can’t do architecture like the Montmartre stairs in the photo. I found Trinigan, the Art Nouveau font I used in my trailer, and then on the cover. Beth Tashery Shannon designs the covers and interiors for BearCat, and for her own book design company, Frogtown Bookmaker. We worked together to create the perfect atmosphere. It’s really too early to think about book 2, but I couldn’t help hunting for inspiration. I was going to ask Michel Colson for another photo for the new book, but the multiple plot lines made choosing an image really difficult. Then I stumbled on a strangely sinister carousel picture, with three horses. I’m playing with that myself to make it even creepier. Stephanie: What is your writing process like? Do you have a favorite spot in your home you like to write? Gayle: I have a set of ideas for the next novel, which rise and fall in attractiveness as I think about what I can do with them. Once I pick the most compelling one – or it picks me – I do an outline and research. After that, I pretty much do what you aren’t supposed to do – go chapter by chapter and get it as perfect as I can. If inspiration strikes, I do occasional leaps forward, or dodge something really difficult (action scenes, really gruesome murders), but I don’t do a rough draft, I polish as I go. My early stuff is often so horrid I really, really can’t stand it, or so snarled I have to untangle it to even be able to think again. I work until the dialogue and setting come to life. Once that happens, it’s too much fun not to keep working, so I usually have something pretty close to what ends up in the finished book before I move on. Of course, I polish endlessly, and stuff has to be cut, or added, but write the finished book as I go is my approach. Most other writers blanch when I tell them that. For a while, I had a cramped space behind the kitchen. It was okay, but there was no room to sprawl, and I’m pretty messy – papers and books everywhere. We redid the garage into a studio. It’s gorgeous, with burgundy walls and a turquoise ceiling. Now I write there, do my art, bead, and make perfumes. Stephanie: When did you know you wanted to be a writer? 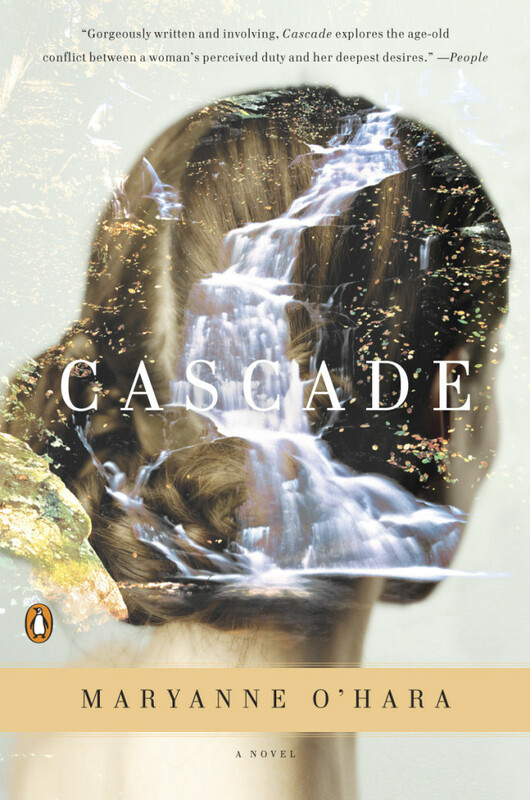 Gayle: I started writing when I was about twelve and did so intermittently for a long time before I decided that I loved it and that it was probably my strongest talent. I first majored in pictorial arts. Drawing and painting are much more soothing pursuits, but escaping into the written worlds I create is more enthralling. When I was a kid, I longed to be a ballerina, then an actress. I still love doing readings. Stephanie: What is your favorite genre to read? Gayle: My favorite entertainments are mysteries and thrillers. I concentrate on historical mystery because it’s my genre, but I read contemporary settings too. I much prefer dark and intense, but take a break every now and then with something lighter or a different genre. I like fantasy, and I like paranormal elements and throw them into the mix. I don’t read as much new literature as I should, but I do go back to my favorite classics. Stephanie: What is the last truly great book you have read? What did you like best about it? Gayle: I loved Megan Abbott’s Die A Little, which I think will be a classic of the genre. It’s unusual in focusing on the two women, with the brother/husband the prize they battle over. It does Noir beautifully – literally, as it’s very poetic. Psychologically it’s subtly, exquisitely twisted. I adored The Night Circus. Erin Morgenstern created a unique world and a unique web-like structure. I loved entering those fabulous tents never knowing what strange delight awaited me within. At least once a decade, I reread The Lord of the Rings, which is a 20th century masterpiece. It’s a profound achievement not given full credit for its power because it’s fantasy. I actually love deliciously flashy prose – witness my two other choices – but Tolkien is gorgeous without being flashy. For me, it’s the greatest Everyman story ever. I cry at the end every time I read it. Stephanie: What advice would you give to an inspiring author? Write what you love. What sells is anyone’s guess. Discover your own way of working. Learn the rules – then break them. Gayle: Being a Libra I can’t seem to settle on just one. Stephanie: Where can readers buy a copy of your book? 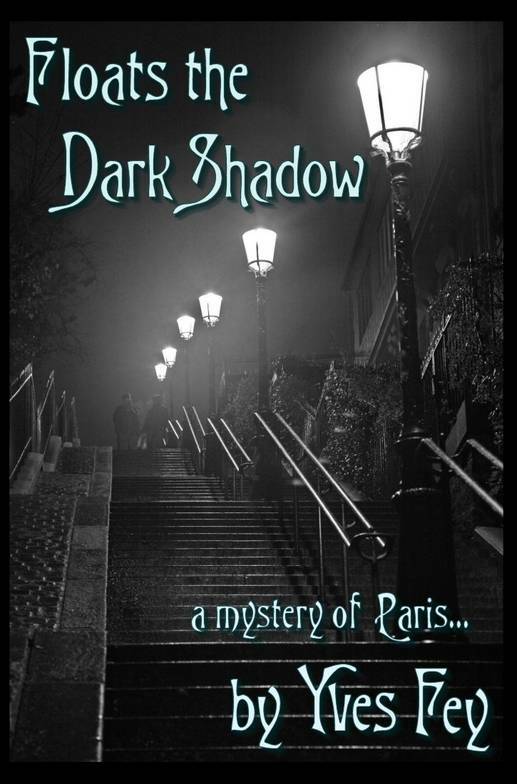 Gayle: Floats the Dark Shadow is available at Amazon and Barnes and Noble. Amazon author page link below. It can also be ordered through your local book store. Stephanie: I would like to introduce Tim Vicary. Author of several novels including, “Cat and Mouse.” He has also one the BRAG Medallion for his novel, “A Fatal Verdict.” Tim, please tell me about Cat and Mouse. Tim: Cat and Mouse is the story of two sisters fighting for their rights in the turbulent months before outbreak of war in 1914. 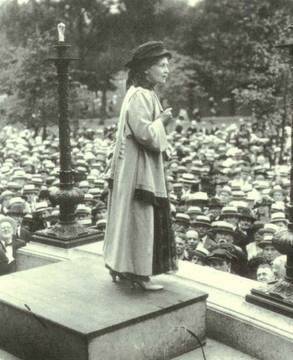 One sister, Sarah Becket, is a militant suffragette. As well as campaigning for woman’s right to vote, she is also devastated to find out her own husband, a Liberal MP, is involved in a scandalous prostitution racket – which leads her to make the dramatic protest with which the book opens. 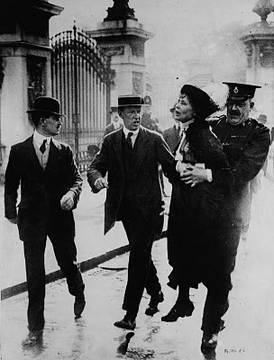 When she is imprisoned her hunger strike attracts the torture that was inflicted on many suffragettes, but she is determined to escape and continue the fight. Across the Irish Sea, her sister Deborah is trapped in a loveless marriage with an army officer. While her husband returns from abroad Deborah faces an agonizing choice – to end her passionate affair with James Rankin, a charismatic trade union leader, or face the loss of her beloved son. When she reads about her sister’s act of defiance, she resolves to go to her aid. United by their cause, Sarah and Deborah combine to fight both male corruption and a sinister German plot to foment civil war in Ireland. Stephanie: Sounds really intriguing. What inspired you to write this story? 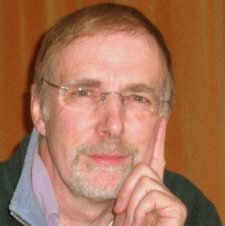 Tim: I read a wonderful book called The Strange Death of Liberal England which pointed out that British society really was in turmoil during this period. There were three major battles going on: the struggle between men and women about the Vote; the struggle between capitalists and trade unions about poverty; and the fight for Irish Home Rule. Each of these threatened to turn society upside down, and I set out to write a story in which my characters were involved in all three. Stephanie: Was there any research involved? Tim: Definitely. 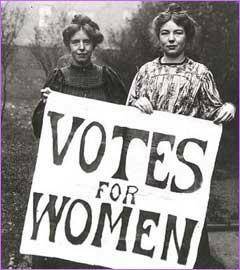 I read a lot about of personal memories and stories about the suffragettes, and the more I read, the more astonished I was. These great grandmothers of ours were really amazing people – very stubborn, brave and impossible to control. The very first incident in the book, for example, is a true story which I’ve just borrowed for Sarah Becket. The real suffragette, Mary Richardson, set out to attack a famous Velasquez painting – the one on the cover – with a carving knife. There’s drama for you! I also read a lot about poverty – particularly in Dublin. There were major strikes led by powerful trade union leaders – like my character James Rankin – and the ruling class feared this might lead to a communist revolution, which of course actually happened three years later in Russia. And in the middle of all this there was trouble in Ireland too: gun-running, rebel armies, the threat of a civil war. That would have delighted the Germans of course, so another strong theme in the story is a German plot (which several historians believed in) rather like the Richard Hannay conspiracy in The 39 Steps. So yes, I did a lot of research! It’s book on an epic scale, but everything in the story could have happened, I think, and quite a lot of it actually did. Stephanie: Research is about my favourite process of writing. You learn so much from history and people’s interpretations and stories. There are so many questions you want to ask them and wish you could. That is where the art of fiction comes in and a writer’s imagination. What is your favourite period in history that you have written about? Tim: I think this period, before and after the First World War, attracts me a lot. There were so many changes going on, and it’s a time that’s almost modern, but not quite, still just out of reach. Stephanie: It is a fascinating period and this period to me always seem to have a timeless quality to it. Hard to describe really. I’m sure the changes were so hard for so many people. Is there a character in any of your stories you relate too and why? Tim: The strange thing is that the ones I feel closest too are women. Sarah and Deborah in this book, Catherine O’Connell-Gort in The Blood Upon the Rose, Ann Carter in The Monmouth Summer, and of course Sarah Newby in my three legal thrillers. I don’t know why: I guess writing puts me in touch with my feminine side. The art of fiction, I suppose, lies in creating characters that are very different to the writer in one way, but similar in others. Stephanie: That is really interesting. I agree it is the art of creating characters. How well described. What is your writing process like? Tim: Right now, it’s terrible. When things are going properly, I feel the need to write every day; when they’re going badly, I can’t get anywhere near it. It’s like doing exercise: do it regularly, and you feel a physical need to do it; stop for a while, and you’re too tired to start. Stephanie: I can so relate to that. I think it’s like that in anything you are used to doing on a daily basis. Among the authors you have met, who impressed you the most? Tim: I haven’t actually met any authors. But I have a treasured letter from Patrick O’Brian, the author of the Aubrey/Maturin sea stories; I wrote to him once when he was only moderately famous, and he had the grace to write back. If I had to choose one author, he would be my favourite. Stephanie: Isn’t wonderful to receive letters?! They are so rare these days, with emails and such. What is your favourite literary genre? Tim: I like a really good convincing historical novel, one you can lose yourself in and wish it would never end. Stephanie: I would agree with you there. And there are so many wonderful novels out there that do that. Have you ever read a book and afterward wish you hadn’t? Tim: My funniest experience with that was when I was 17. My parents had rented a cottage in the south of France and we had to travel there overnight by train, in very uncomfortable French railway carriages with hard upright seats. I’d brought a book to read, which had been highly praised by a reviewer in the Sunday Times. ‘Every bit as exciting as the latest James Bond thriller.’ the reviewer had written. So I got this book out and prepared for a long night of high drama. It was To the Lighthouse, by Virginia Woolf. I’ve never read a book by her since! Stephanie: I have to admit I’m not a big fan of her books. But what a wonderful experience to travel to those wonderful places. Tim, thank you for returning to Layered Pages for an interview. It was an honour to chat with you. As the Summer draws closer, I have several reviews coming up. Many of them are a part of the Historical Fiction Virtual Book Tours. In which I have the honor of participating in. I have discovered so many wonderful reads through this company and it has been a wonderful experience. Below is a glance of a review coming up in June that I’m looking forward to sharing with you all and is a newly released novel that I highly recommend. Love, loss and conflicting loyalties and promises- this story sweeps you into the 1930’s, a town in Cascade, Massachusetts. Who is fighting for their very own survival of a flood that is to create a reservoir for, Boston. A women-Desdemona, who has made promises to her dying father and bound to the man she married. Yet she yearns to for a life of an artist and falls for a young Jewish man. Author Maryanne O’Hara brings you raw emotions in her characters, their lives and gives you a sense of timeless love and beauty. My review coming soon! Lisa: The novel is about a serial killer who is trying to kill more women than Ted Bundy to impress his Bundy-obsessed mother. But when a young woman gets in his cab and confesses that she wants to commit suicide, he wants to bring her back from the brink of death to heighten the enjoyment of killing her. Lisa: After watching too many hours of the news, I kept wondering if serial killers could be molded from birth or if they were simply born that way. Kiss Her, Kill Her explores that idea. Lisa: My biggest challenge is finding time to write. I have a demanding full time job, a husband and cats, all of which require my attention. Writing can sometimes be pushed to the back burner. Stephanie: How long did it take to write your story? Lisa: My original draft took about 6 months but then the editing process kept me buys for about another year. Stephanie: Who designed you book cover? Lisa: I am really fortunate that my step-son is a talented graphic designer. He seems to always have the perfect images that reflect the book’s content and tone. Lisa: I recently published my second novel, Uncommon Collectables, which is a story about a serial killer who is preying on women from the Strip. Initial reviews have been very positive. Stephanie: Will you submit it to BRAG? Lisa: I have submitted it to BRAG and hope to hear back with some positive news in the next few weeks. 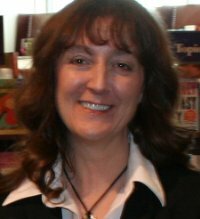 Lisa: I subscribe to Writer’s Digest magazine and heard about IndieBRAG from one of their blogs. I loved the idea and submitted my novel right away. I’m really happy that I did. Stephanie: What was your writing process like when writing this story? Lisa: I’m not one of those writers that likes to outline first. I jump around from beginning, to end, to middle as ideas pop in my head. It just makes editing all that much more difficult but it’s the only way I can get the novel on paper. Stephanie: When did you know you wanted to be a writer and when did you start? Lisa: I recently was looking at a School Days book that my Mom made for me when I was in grade school. We documented my career aspirations on the first day of each school year. Believe it or not, right from second grade I started saying that I wanted to be an author. I didn’t get serious about the craft until my mid-thirties. Stephanie: What is your favorite literary genre? 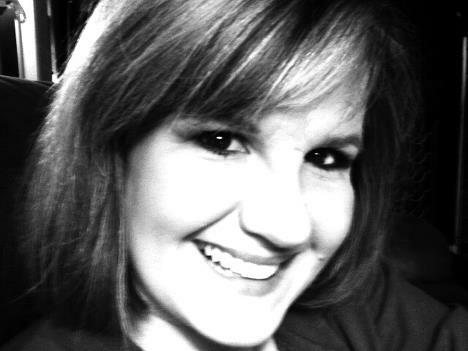 Lisa: I love thrillers and suspense novels but have also found hidden gems in every genre. Stephanie: What is the last truly great book you have read? Why did you like it? Lisa: That’s a tough question…. I travel quite a bit for business and can sometimes read four or five novels a week. I think the one that sticks out as really great in recent memory is Gargoyle by Andrew Davidson. Not only is Andrew a fellow Canadian but his rich descriptions and twisted plot line, kept me turning the pages and took me to places that I didn’t know I wanted to visit. Lisa: My favorite quote is from my husband (though I am I sure that he got it from someone else)… If you never try, you are guaranteed to fail. I try to live my life by those words, and they haven’t let me down so far! 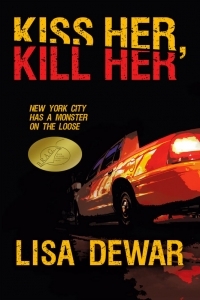 We are delighted that Stephanie has chosen to interview Lisa Dewar who is the author of, Kiss Her Kill Her, one of our medallion honorees at www.bragmedallion.com . To be awarded a B.R.A.G. MedallionTM, a book must receive unanimous approval by a group of our readers. It is a daunting hurdle and it serves to reaffirm that a book such as, Kiss Her Kill Her, merits the investment of a reader’s time and money. I have the pleasure of introducing Author Kristie Davis Dean. Kristie was born in Tennessee, and spent her early childhood reading everything she could get her hands on – including cereal boxes! Lessons from Jericho is her first foray into Christian fiction, but she has published several short travel guides and a nonfiction book, Reformat Your Life. She holds an M.A. in history from Fayetteville State University. A true Anglophile and history addict, she travels to the UK just about every year. One of her future projects involves a book combining both those passions. She lives in Tennessee with her husband, Jonathan, their two dogs, Oreo and Sadie, and two cats, Tiggy and Tabby. Stephanie: Kristie, please tell me about Lessons from Jericho. Kristie: Lessons from Jericho is a story about finding yourself and finding God. It’s a mix of self-help and inspiration. The main character, Gina, is faced with (what to her) is a catastrophic loss – the loss of her career, and with it, her identity. She meets a stranger who seems to know quite a bit about her and is faced with a decision – should she listen to this seemingly eccentric man? I wrote this to be a quick read – something people could sit down, read, and then implement immediately. Stephanie: I’m really looking forward to reading your story. What message would you like readers to grasp, reading this story? Kristie: Finding yourself sometimes means getting help from others. We can’t always do it alone. As a Christian, I’d also like readers to understand that the Bible has quite a few lessons to teach us. And, even if you aren’t a Christian, the stories still have life-lessons within them. Stephanie: The Bible certainly does. Were there any challenges writing this story? Kristie: Yes, a big challenge – there was a plot decision I had to make (can’t go into it in detail without giving away the ending), but I didn’t want the story to go in that direction. Unfortunately, the story WANTED to go in that direction, and I ended up giving in to what the plot needed. I liked the outcome after I was finished, so it seems like it was the wisest choice. Also, I was trying to write a fictional account intertwined with the Biblical story, and sometimes finding a good balance got difficult. Stephanie: It’s always interesting when writing a story how the direction can change when least expected. Was there a life lesson you came away with while writing Jericho? Kristie: Trust God. I’m the first person to try and do everything on my own. I have a hard time releasing control, and sometimes God doesn’t work on my time table. For example, I’ve always wanted a child, but for some reason I believe that God has a different plan for me. Writing Jericho helped me come to terms with that. Although that struggle isn’t over, it helps to really know that I can trust God throughout anything. He has a plan. And if I trust Him, I know His plan is always going to be the best for me. Stephanie: How long did it take you to write, Jericho? Kristie: About eight months. It was coming along quickly, but I hit a snag. I’ll tell you about that when I answer the next question! Stephanie: Who or what inspired you to write this story? Kristie: It was inspired after a sermon my pastor gave on Rahab, the heroine of the fall of Jericho. The story of Jericho had always fascinated me, and even though Christian fiction is not my normal genre I felt this story needed to be told. If you know the story, you understand the courage Rahab demonstrated – I would love to one day write a book just about her. Stephanie: How has your faith impacted your writing? Kristie: My earlier writing has all been non-fiction, but with Jericho, it really seemed like God was guiding me. It led me down a deeper journey with the Bible and has impacted how I read the text. I hope that I let God’s voice come through, rather than my voice. Stephanie: What is your current book project? Kristie: My current project is the latest installment in my Travels in the United Kingdom series. I’m heading to the UK soon to research it. I also have a historical fiction book waiting in the wings, percolating. I’m really nervous about tackling historical fiction because I am such a stickler for accuracy in books. It makes me nervous that someone like me might read it and find an error – but this fear is leading me to do meticulous research. I hope to have it finished within the next year or so. Kristie: Oh my, I have several! But I think my favorite would have to be one of Winston Churchill’s. He is one of my heroes. All of his quotes rate high on my list, but my favorite is “We make a living by what we get, but we make a life by what we give.” That quote really speaks to me. Stephanie: Kristie, thank you for chatting with me today.